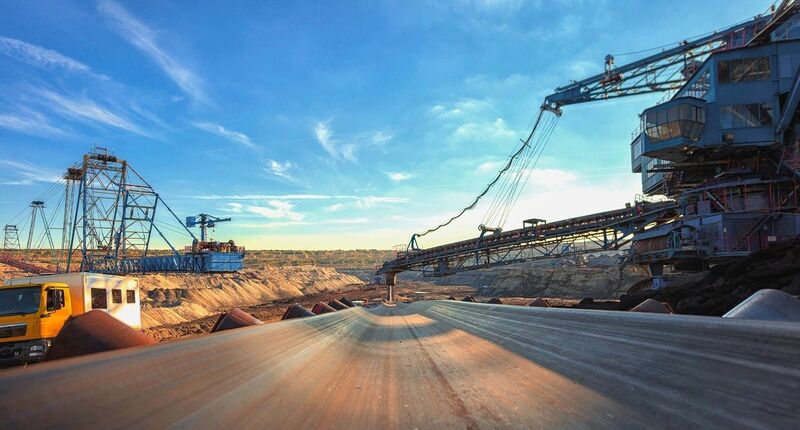 Digital investments, new business models, digital twins and IoT empower mining companies to leverage industry recovery. After a tough couple of years, the recovery of the mining industry started in 2017, and now is the time to kick it into a higher gear and benefit from being an early mover. Digital investments and new charging models are a couple of the initiatives companies will be pioneering to leverage the industry turnaround in 2018. 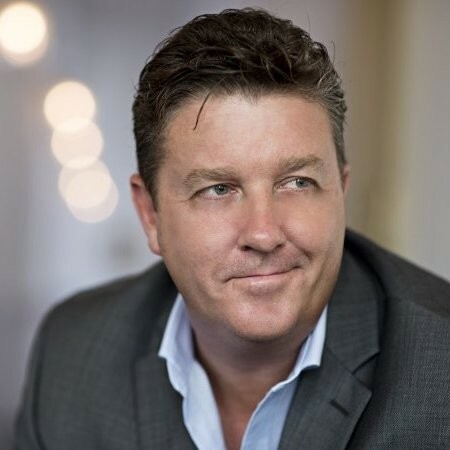 The Internet of Things (IoT) in combination with digital twins and equipping users to service their own assets are also key trends, predicts Rob Stummer, Managing Director at IFS Australia and New Zealand. The good news is that the cost-cutting and downsizing of the past few years are now at an end, both for the mining companies themselves and their ecosystem of suppliers. Global demand for many commodities is growing. With the macro figures telling us this increase may last for the next few decades, industry players are ramping up their activity. However, many are playing catch-up in the digital space. When talking to customers and prospects in the industry, I hear the need to tap into digital technologies including cloud, the Internet of Things (IoT), big data, automation, and advanced planning and scheduling to become smarter and more efficient at extracting resources. Part of this is being driven by the downsizing that has taken place over recent years; with fewer staff on site you need to maximise the human resources to hand. Thus, automating manual tasks becomes important. Mining companies could learn from innovators in related industries, like oil and gas company Songa Offshore. The company has connected IoT sensors to 600 assets on each of their four oil rigs throughout the North Atlantic Basin. The IoT data is fed into the enterprise resource planning (ERP) system, IFS Applications, which forms the basis for reducing maintenance costs and increasing productivity by driving operational efficiencies. The main potential optimisation lies in the automation of work orders. If specific data points can trigger automated work orders, this will save significant time and costs. Other potential investments may come in rolling out beacon technology to improve safety by alerting workers when they are in a restricted zone. Elsewhere, advanced visualisation and planning tools could help contractors speed up the license application process and maximise productivity by being able to better delineate which areas they are already cleared to operate in. Another key evolution in the industry, driving the push to become faster and more efficient at extraction, involves a change in the way mining companies pay their suppliers and contractors. The traditional “day rate” – the flat-fee rate a contractor is paid per day is increasingly moving to a performance-based system. Thus, where a mining company might have agreed to a contract of $300,000 per day for 100 days, they may offer more or a bonus if the work can be completed in, say, 80 days. This creates new opportunities for those industry suppliers who can become more efficient. Again, the IoT and big data analytics are key enablers here, with sensors able to provide feedback on various environmental and other conditions to maximise productivity. However, technology alone will not produce the desired goals unless organisations can break down traditional silos between teams which monitor equipment and those focused on other parts of the operation. These trends can also be seen in terms of the gradual servitisation of the industry, with companies looking to add innovative service and asset management capabilities to their offerings to reduce their maintenance costs. Advanced planning and scheduling technologies, in particular, will become a game-changer for both mining companies and service providers, helping them better plan and document maintenance without the need to shut down assets as frequently. These are highly sophisticated systems, maximising the human resources on board and incorporating key risk assessments of equipment to ensure any maintenance work is done and recorded according to a strict timetable. The IoT and “digital twin” technologies are poised to have a huge impact on services; reducing costs, maximising data analytics and extending the lifespan of assets. Previously when, for example, a mining truck broke down, the company would have to schedule a service engineer reactively. This approach is highly inefficient as the individual engineer may have little idea what is wrong with the asset, leading to a low first-time fix rate. With IoT sensors, the asset or machine becomes “smart” and is placed at the centre, sending data back to the service centre enabling diagnostics to determine issues that may arise in a day, week or months’ time. It is no surprise that predictive maintenance is where the big benefits are first realised from IoT by asset-intensive companies wanting to optimise their service efforts. The Predictive Maintenance report forecasts a compound annual growth rate (CAGR) for predictive maintenance of 39% over the timeframe of 2016–2022, with annual technology spending reaching US$10.96 billion by 2022. Now let us add in the concept of digital twins, which represents physical objects in the digital world. Previously, the manufacturer’s or engineer’s knowledge of an asset stopped once it was delivered. But now, via the feedback made possible through IoT, you can start to learn the usage, behaviour and performance of these assets in the real world, and even make engineering changes to improve them over time. This is a hugely important shift that helps complete the feedback loop, leading to smarter asset design, more efficient service and better performing assets. Such an approach is already being applied in the automobile sector, where connected cars send back huge amounts of data to be analysed and used to engineer better machines going forward, as well as alerting when and where faults may start to appear. The good news is that it can also be applied retrospectively to legacy products. Mining and construction machine manufacturer Caterpillar has plenty of equipment that is 10-20 years old. But it has been able to fit them with smart sensors to measure tyre pressure, temperature, oil levels and so on. It is a win-win for customer and service organisation alike; minimising equipment downtime and enhancing product development and improving service efficiency. The approach is said to have saved Caterpillar millions of dollars already. We will start seeing a lot more augmented reality (AR) experiences used to put the customer in control of operating or servicing their own assets. Just think of a Nespresso machine, or a Dyson vacuum cleaner. Both companies have invested significant sums in helping consumers – with the aid of their smartphone and a QR code – to access visually overlaid step-by-step instructions on usage and repair. The same kind of model could be applied to more complex systems within a mining environment, providing detailed and highly customised plans for users to work from – without any of the superfluous information usually found in manuals. This AR vision shares many of the same benefits as the IoT and digital twin approaches listed above. It will help maximise the time of a limited pool of service engineers, but also create a better customer experience. We can’t underestimate the Apple effect here: with AR being built into iOS handsets, it’s only a matter of time before the firm democratises and monetises such capabilities via an intuitive, user-friendly platform. As well as downloading apps and music, think of downloading an AR experience. There is clearly plenty of opportunity to drive better service delivery, but for mining companies to reap the benefits a few things need to happen. It is important not to think of innovative technology as an end goal in itself. First up, make a value-based business case for any new approaches. That might mean wanting to increase first-time fix rates, offer new outcome-based contract types or simply reducing costs by ensuring engineers are only dispatched when strictly necessary. Once you have established the business case you might need to break down traditional organisational silos between engineering, design and service. An AR experience, for example, is only as good as the engineering data you are able to populate it with. It works two ways, though, as the feedback from product sensors will help engineering teams design and build better assets going forward. It is much easier to ensure that data flows throughout the organisation if everyone is using the same enterprise system. The last thing you want is new technologies creating their own data silos. New technologies will deliver greater benefits if integrated with your ERP software, and those benefits will be easier to measure. Ideally, you should be able to calculate the actual value delivered by new technology and compare it with your business case to maximise the value of future investments. Ultimately, you need the people, processes, data and systems all optimised to capitalise on these emerging approaches and reap the full benefits. Do you have questions or comments about the mining industry? You make a good point that mining can become more efficient if they were to get a contract that agrees to add a bonus of it’s completed sooner. It’s good to see that having data analytics can help provide feedback on conditions and productivity in order to obtain these goals. If you needed to hire a mining service, it would be good to hire one with these analytics so you can make sure that they will stay on task and be efficient in their work so you can have the job done quicker.